Looking to enjoy some winter sports near Washington, D.C.? There are tons of ski resorts an easy drive from the nation's capital where you can ski, snowboard, and snow tube. Many also have terrain parks, lessons, equipment rental, on-site restaurants, and slopeside accommodations. Whether you have just a day, evening, or a long weekend, you will find plenty of great places to ski near the capital region. The family-friendly resort is one of the closest to the DC area and offers nine lifts and two terrain parks, with 100 percent snow-making coverage. Amenities include snow tubing, child care, ski and snowboard lessons, food court, and adaptive snow-sports program for children and adults with mental and physical challenges. The resort is an excellent choice for beginners and offers snowboarding, snow tubing, and Revolution Paintball. There are 10 lifts plus a terrain park with a super pipe and half pipe. Amenities include a restaurant, sports shop, ski and snowboard schools. The resort is the closest to the nation's capital, located just 8 miles southwest of historic Gettysburg. It has 16 trails and three terrain parks, serviced by nine lifts, with complete snow-making coverage. Amenities include snow tubing, lessons, equipment rental, child-care center, and restaurants and bars. A new hotel and conference opened onsite in 2015. Maryland's only ski resort is located near Deep Creek Lake in Garrett County. The resort offers a wide range of winter activities including skiing, snowboarding, snow tubing, outdoor ice skating, snowshoeing, snowmobiling, and sleigh rides. 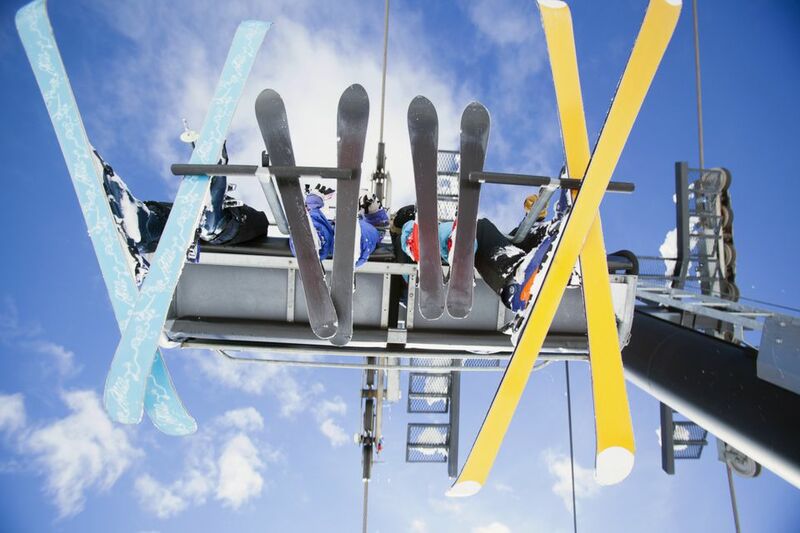 There are seven chairlifts, five surface lifts, and four freestyle parks. The area is one of the most scenic in the state and makes a great getaway destination. Located in the heart of Central Virginia’s Blue Ridge Mountains, the four-season resort features skiing, snowboarding and snowtubing, two championship golf courses, an award-winning tennis program, a full-service spa, hiking, fly fishing, horseback riding, swimming, and mountain biking. Nearby accommodations include condominiums and vacation homes, ranging from studio suites to seven-bedroom homes. The year-round resort offers a wide variety of recreational opportunities including skiing, snowboarding, ice skating, and snow tubing. The mountain has 42 trails, three chairlifts, two magic carpets and snowmaking on more than 75 percent of the mountain. The resort includes overnight lodging, several restaurants, a world-class golf course, conference facilities, a fitness center, indoor and outdoor pools, whirlpool spa and miles of hiking, biking and cross country ski trails. Seven Springs is a 5,000-acre ski resort, located in Pennsylvania's Laurel Mountains, an hour south of Pittsburgh. The resort is open year-round and offers a wide range of amenities and recreational activities including snow tubing, sleigh rides, snowmobile tours, snowcat rides, snowshoe tours, indoor pool, hot tubs, mini golf, game room, roller skating, and fitness room. There is a hotel on site with plenty of amenities. With 57 trails, 251 ski-able acres, an elevation of 4,848 feet and a vertical drop of 1,500 feet, Snowshoe is the largest ski area in the region. The resort gets the most snowfall of any of the ski areas that are drivable from DC. There are plenty of accommodations and this is a great destination for a winter getaway. Activities include downhill and cross country skiing, snowboarding, snowcat tours, snowmobiling, snowshoe tours, and much more. The year-round resort offers a wide range of activities. Whether you enjoy skiing, golfing, hiking or just relaxing, Massanutten Resort has lots of options for the whole family. The ski slopes are lit for night skiing. This is a full-service resort with hotel accommodations, condominiums, and single family homes. The four-season resort in the heart of the Shenandoah Valley, Virginia, offers skiing, snowboarding, racing events, and lessons. Bryce Mountain is conveniently located near Shenandoah National Park, which offers an extensive selection of recreational opportunities, historical sites, wine vineyards, etc. The property is a member-owned resort. All activities and facilities are open to the public, but members enjoy additional benefits and amenities. The resort offers year-round recreation including winter sports such as skiing, snowboarding, cross country skiing and more. The ski area has four lifts, 37 trails, 100 ski-able acres, and 100 percent snow-making coverage. It also has the longest run in the South—the two-mile-long Salamander. Slope-side lodging is available.